This season, hit the asphalt for that classic American rite of passage: the road trip. This week, we're bringing you three choose-your-own-adventure destinations. Up next? The journey through the Southwest. 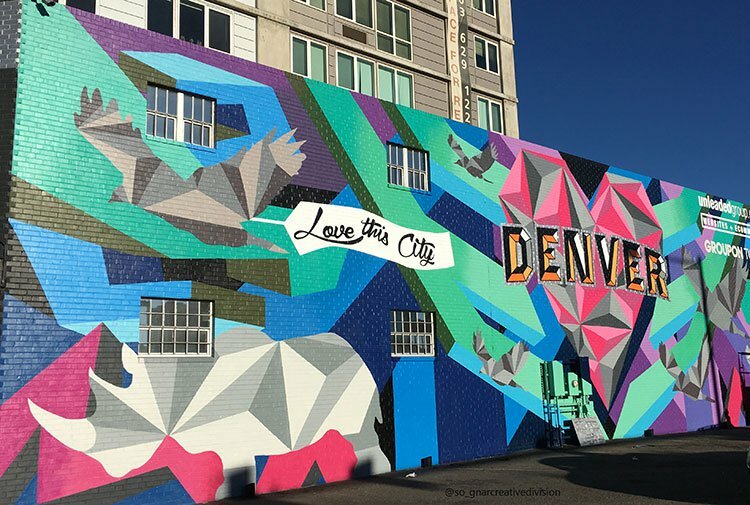 Home to the almighty “Fourteeners,” America’s largest cluster of sky-high peaks, Colorado is synonymous with the Rockies’ frigid white towers, but an orange current undulates beneath — a desert snaking up from the native lands of the Southwest. The road from Denver to Santa Fe traces this intermingling of palettes, revealing the centers of creativity inspired by strange surroundings. Start: Denver, Colorado. End: Sante Fe, New Mexico. Total Distance: 400 Miles. Suggested Length: 4 to 6 Days. .com) splits its space between glass-cased rooms and an open eating area with 25 local artisans whipping up everything from carnation bouquets to croissants. This giant amphitheater is baked into the natural clays just beyond the Denver city limits. 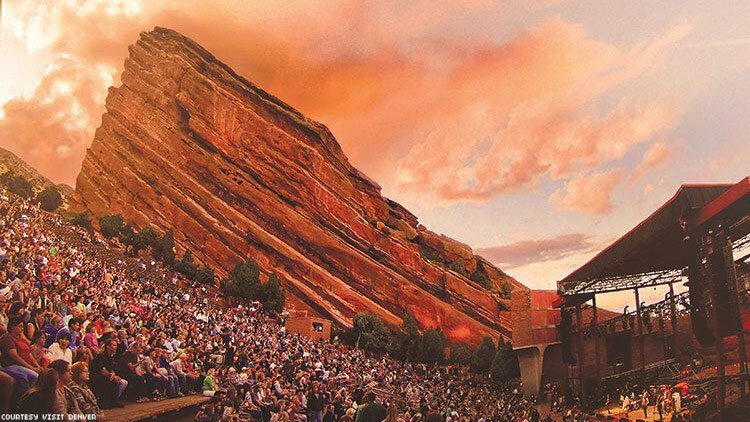 A legitimate venue on many star performers’ touring circuit, Red Rocks is also a vibrant preserve with trailheads marking dozens of paths through tree-lined valleys and scorched brick. 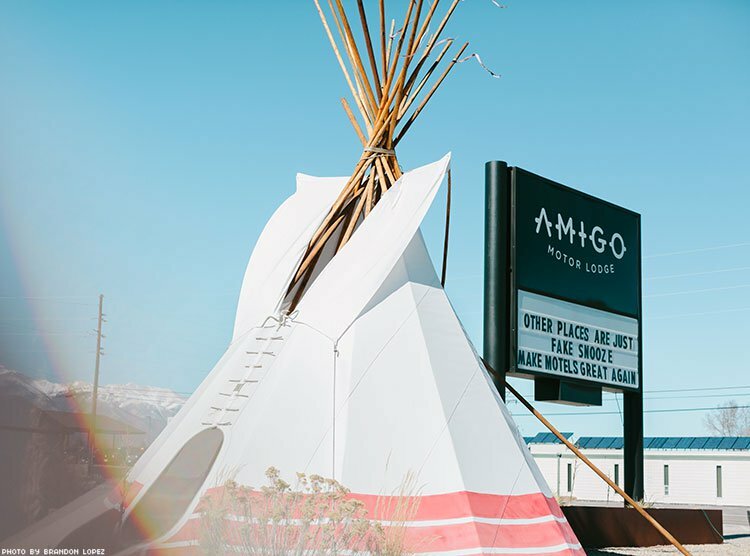 A rescued roadside motel, every inch of Amigo has been lovingly transformed into a flip book of highly Instagrammable moments built around Baltic Birch bed frames, mid-century modern accent lamps, and bleach-white subway tile. 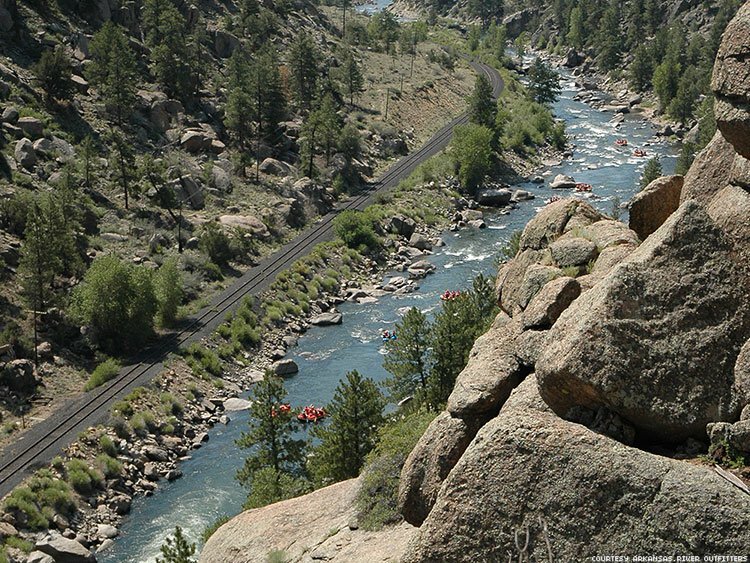 The churning Arkansas River cuts through Salida, creating an adrenaline sports experience right in the middle of town. Hop on a raft with Independent Whitewater, then warm up with a cherry-rich cup of joe from Corvus Coffee Roasters at Howl Mercantile & Coffee (HowlMercantile.com), which doubles as a showcase for local makers specializing in apparel, accessories, and home goods. Only a fraction of tourists choose dunes over the nearby Rockies, so you’ll have these Sahara sands largely to yourself. Stop by Kristi Mountain Sports (KristiMountainSports.com) to rent your own sandboard and sand-sled and spend the day hitting the 8,000-foot orange slopes created more than a million years ago by primordial oceans. In the summer months a hidden beach emerges from the snow melt at Medano Creek attracting sandcastle builders and sun-bathers to this secret oasis. Hidden in the wilds of a 100,000-acre ranching station, Zapata’s duel mission is to foster the region’s rich Western heritage while also acting as a preserve protecting the diverse ecosystem and its roving herds of buffalo. Accommodation is an1800s log cabin with subtle pueblo-style decorations livening the rustic stoves and burnished antique dressers. Santa Fe’s mod outdoor theater lures some of the most relevant and important operas from both past and present. Shows are timed with the setting sun, which casts an ethereal glow that unifies the audience and performances. Pack some cheese, wine, and charcuterie, and head to the opera’s parking lot a couple of hours before the show for the classiest tailgate in the country. 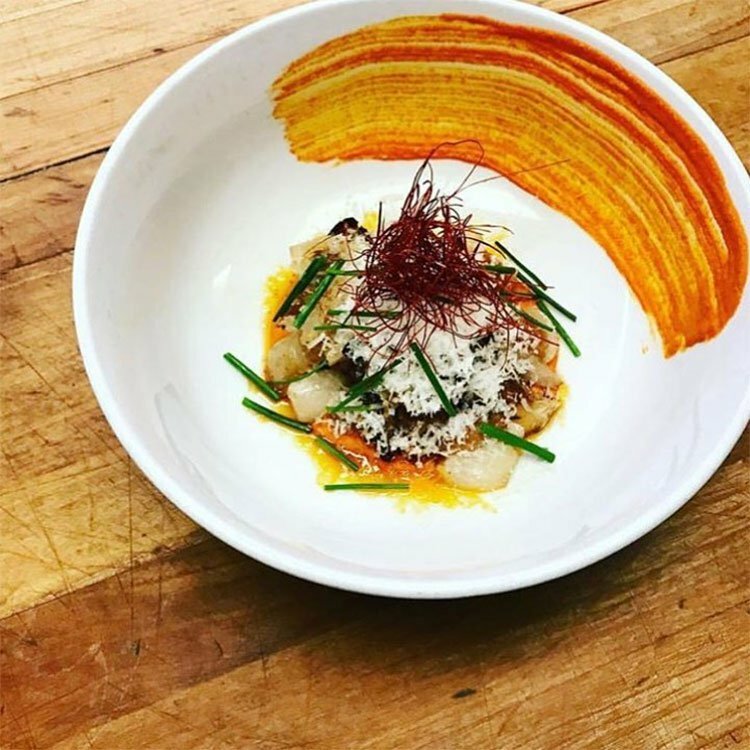 Showcasing Santa Fe’s trademark international flair, L’Olivier is run by a Parisian couple with a deep affinity for French cuisine. Housed in a prim adobe casita, it serves up continental faves — foie gras, escargot, and cassoulet — with ingredients sourced from regional providers. With more galleries per square mile than any other city in America, Santa Fe is the unofficial outpost for art collectors, and the next generation of New Mexican creatives have come together to make a living, breathing museum experience that puts a 3-D twist on art appreciation. Located in a refurbished bowling alley with splatter-print carpeting, Meow Wolf is Choose Your Own Adventure meets the immersive theater show Sleep No More — a Victorian mansion caught in a psychedelic time-warped eddy. You can puzzle together a narrative that links each room, or simply skip through the dark forests lit by giant plastic glowworms, opening trap doors to see where they lead.